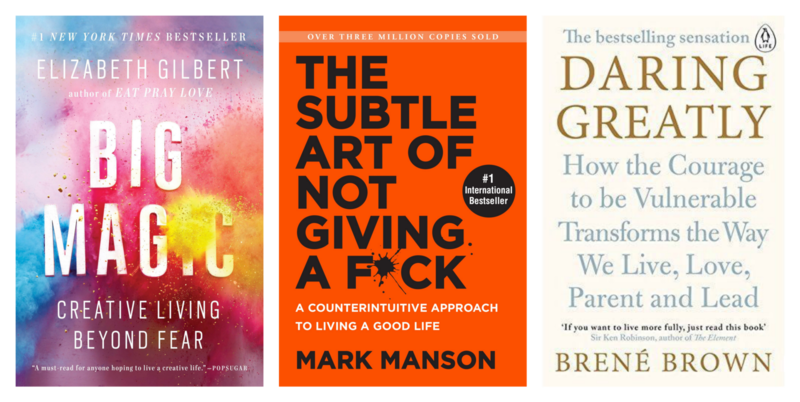 Here are the best quotes I found in these 3 books, I strongly recommend to read the books if you’re interested to get a deeper understanding of them as well. Who you are is defined by what you’re willing to struggle for. […] our struggles determine our successes. The more we admit we do not know, the more opportunities we gain to learn. Don’t just sit here. Do something. The answers will follow. If you lack the motivation to make an important change in your life, do something —anything, really — and then harness the reaction to that action as a way to begin motivating yourself. If we follow the “do something” principle, failure feels unimportant. Travel is a fantastic self-developement tool, because it extracts you from the values of your culture and shows you that another society can live with entirely different values and still function and not hate themselves. Death scares us. […] Yet, in a bizarre, backwards way, death is the light by which shadow of all of life’s meaning is measured. Without death, everything would feel inconsequential, all experience arbitrary, all metrics and values suddenly zero. When you shut down vulnerability, you shut down opportunity. If you choose not to decide, you still made a choice. A man cannot dress, but his ideas get cloth’d at the same time; and if he dresses like a gentleman, every one of them stands presented to his imagination. We all spend our 20s and 30s trying so hard to be perfect, because we’re so worried about what people will think of us. Then we get into our 40s and 50s, and we finally start to be free, because we decide that we don’t give a damn what anyone thinks of us. But you won’t completely free until you reach your 60s and 70s, when you finally realize this liberating truth — nobody was ever thinking about you, anyhow. […] People are mostly thinking about themselves. I have never created anything in my life that did not make me feel, at some point or another, like I was the guy who just walked into a fancy ball wearing a homemade lobster costume. But you must stubbornly walk into that room, regardless, and you must hold your head high. You made it; you get to put it out there. Never apologize for it, never explain it away, never be ashamed of it. You did the best with what you knew, and you worked with what you had, in the time you were given.